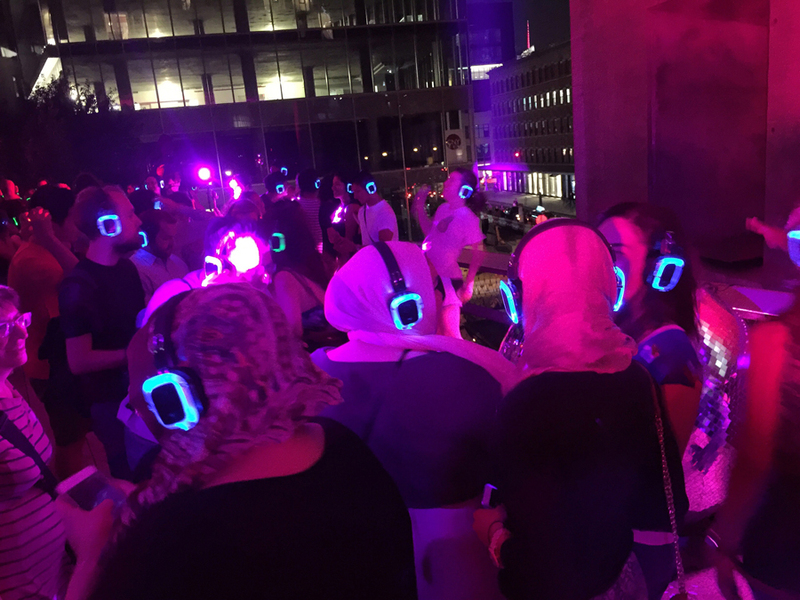 Artist and director, Rob Roth presented, Night Paving: The Aural History of Jackie 60 & Mother on the High Line NYC as a site specific work for the ‘Up Late’ program in July 2016. This sound installation is a journey of storytelling and music with the producers, performers, and infamous attendees of the legendary Tuesday club-night Jackie 60 and the nightclub MOTHER that was birthed only a block away in the original space on the corner of 14th and Washington St. 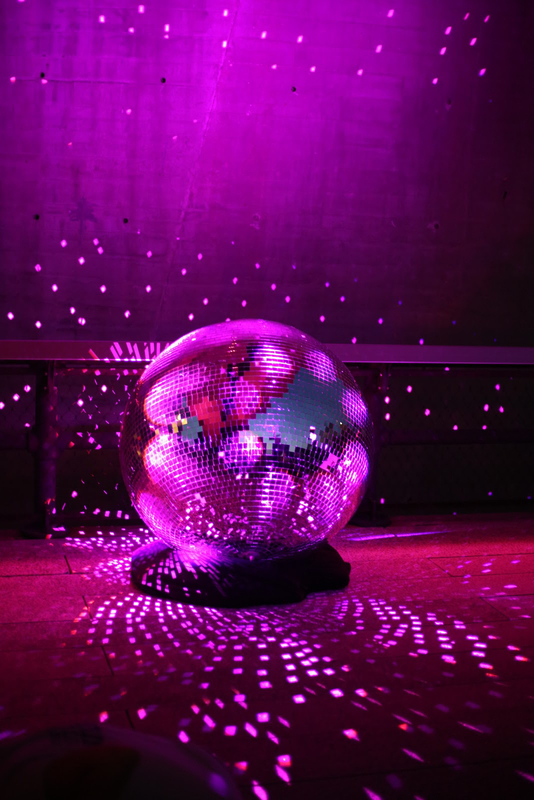 The event was presented as a ‘silent disco’ listening party and tells the story of the beginnings of Jackie 60 and its transformation into MOTHER leading to its final days at the end of the 20th Century. Memories of performances, themes, personalities and the producers who made it all happen are shared with philosophical meanderings about the cultural shift that occurred during this transitional decade all to a specific music mix by DJ Johnny Dynell. Participants observed the section of the Meat Market that housed the original space and listen to a soundscape that contributed to the folklore of this seminal moment in NYC nightlife history. The piece is designed as an immersive experience to feel as if you walked into the empty club and the ghosts of its past were speaking through the invisible walls. 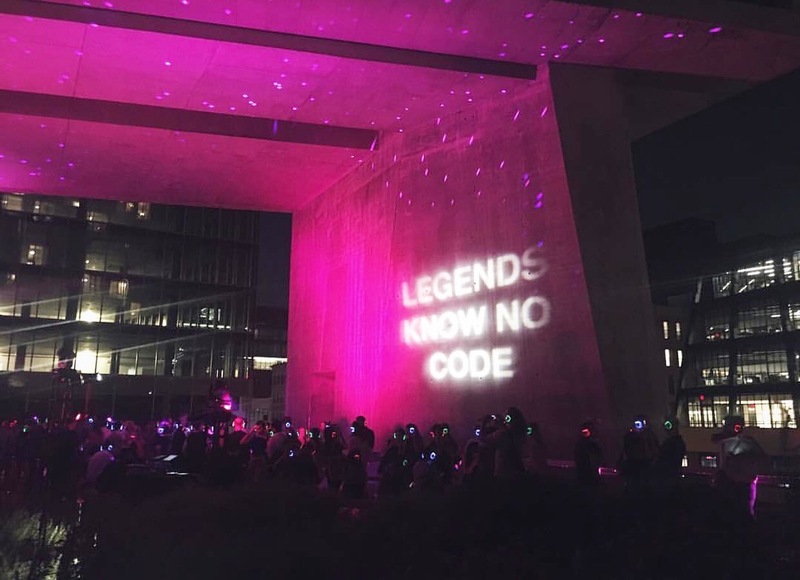 A fuchsia spotlight was pointed at the original location of 14th and Washington as well as a grounded mirrorball placed on the High Line below the words “LEGENDS KNOW NO CODE’ (which was the last line of the original Jackie 60 dress code) as an epitaph for participants to ‘meditate’ on while listening to this time capsule experience. The piece presents the Meat Market through a alternative historical eye and leaves the participants with a piece of unwritten nightlife history intact. From 1990 – 2000 the ‘little, dark and different’ space housed a wide range of performers from Kembra Pfahler to Mikhail Baryshnikov. Stories are shared from Mother’s creators Chi Chi Valenti and Johnny Dynell as well as performers, patrons and collaborators Kitty Boots, Marc Jacobs, Debbie Harry, Ahnoni (Antony and the Johnsons), Rob Roth, Alba Clemente, Basil Twist, Johnny Reinhold, Jack Doroshow (aka Flawless Sabrina), Joey Arias, Lucy Sexton (Dancenoise), Sherry Vine, Genesis P-Orridge (Psychic TV, Throbbing Gristle), Penny Arcade and many other “Jackie Legends” all to a soundtrack that evokes “That Jackie Feeling”.